Formerly known as our Postmark Napa Valley Red Wine Rector Creek Vineyard this wine is the evolution of the series. Limited quantities available! 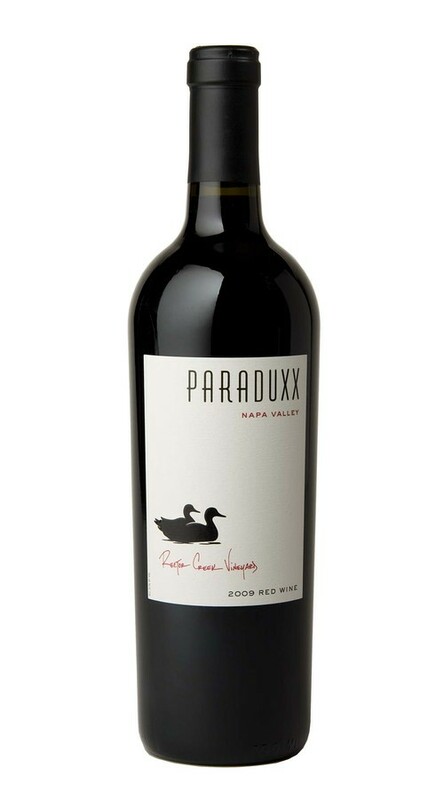 This blend of Zinfandel paired with Cabernet Sauvignon originates exclusively from the rocky soils of our Rector Creek Vineyard, which surrounds the Paraduxx winery. The aromatics are ripe and inviting, with layers of raspberry jam, chocolate-covered cherries and clove, all underscored by subtler notes of vanilla and sweet cedar. A full, rich jammy entry offers immediate pleasure, with rich milk chocolate flavors supporting a juicy mid-palate. The finish is long, textured and sophisticated, with lingering flavors of tobacco, dried sage and lavender. 2009 presented certain challenges—from early shatter to late-season rain. We responded with site-specific techniques that included aggressive leafing, an early thinning protocol and a heavy field sort to select only the most desirable grapes. Attention to detail in the vineyards, and during harvest and sorting, yielded high quality fruit. I definitely get the raspberry they describe, good full bodied wine. Highly recommend this 2009 blend. This wine is great! It's has a nice bite when it first hits your tongue, then a really smooth finish, and an awesome after taste!